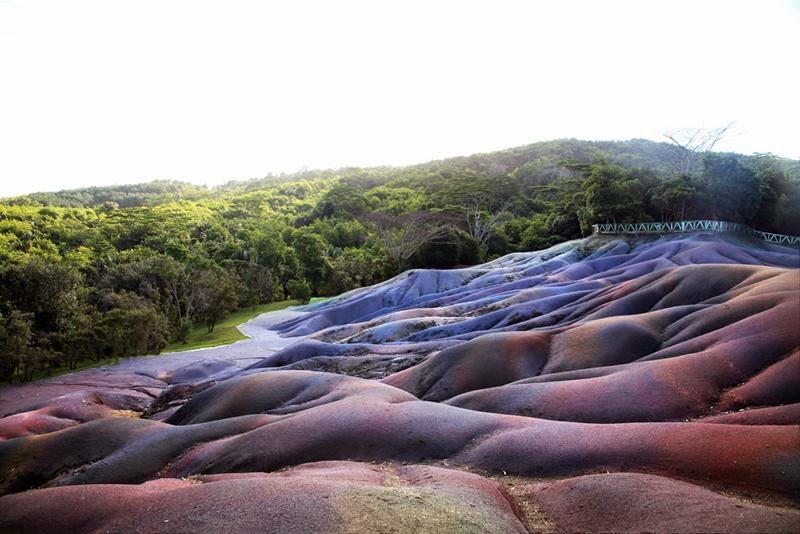 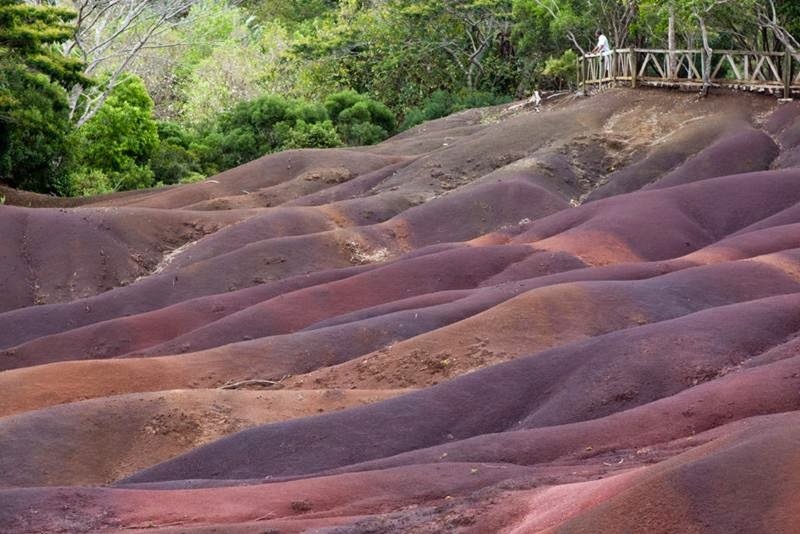 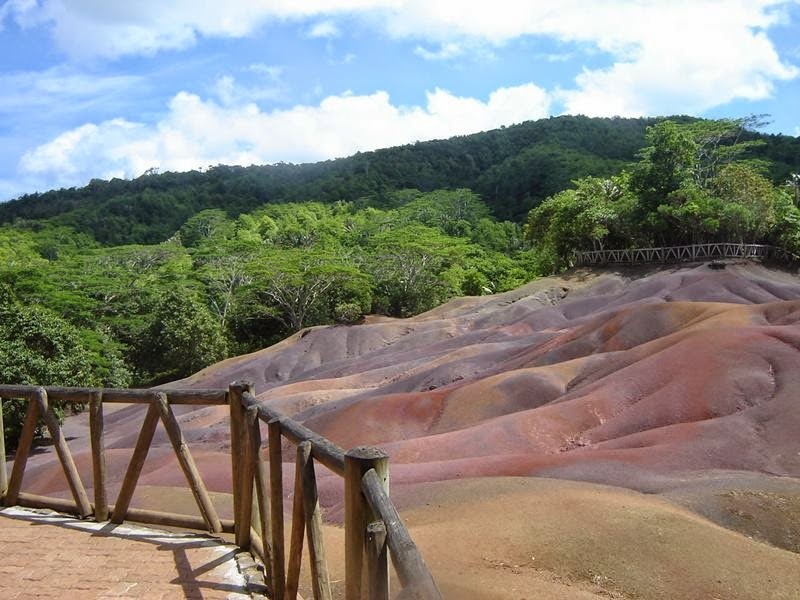 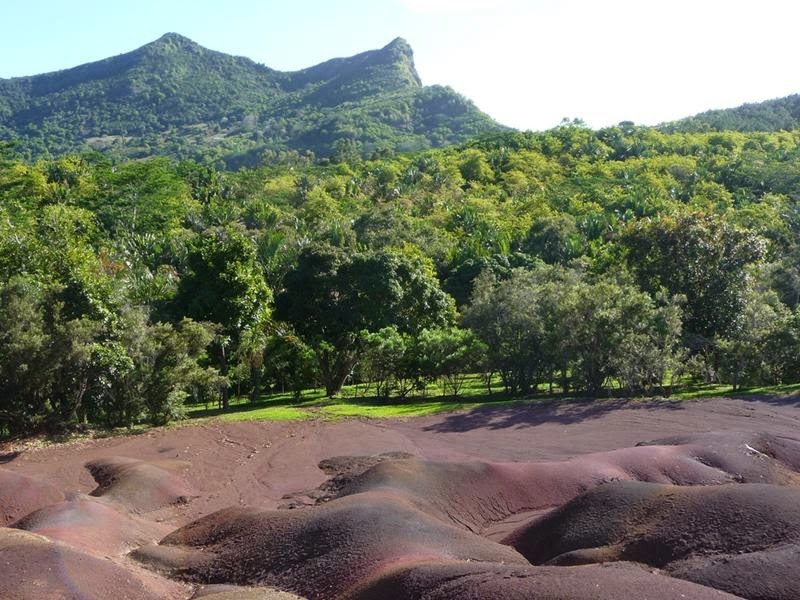 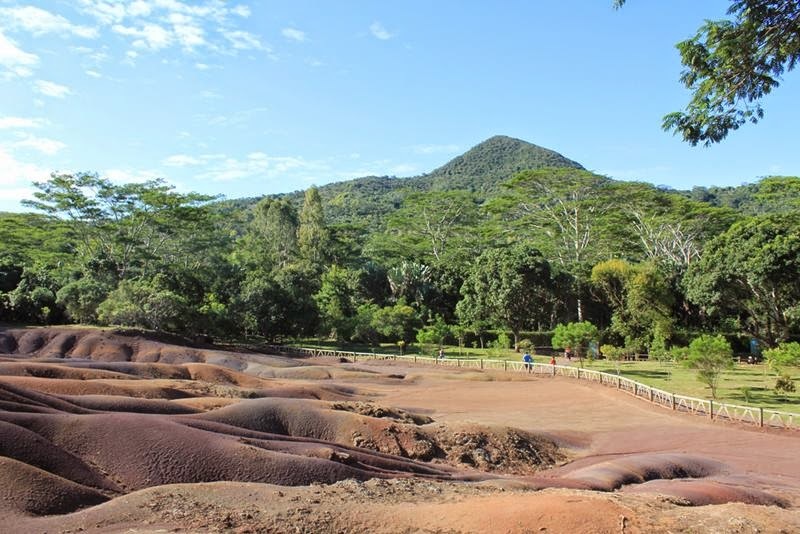 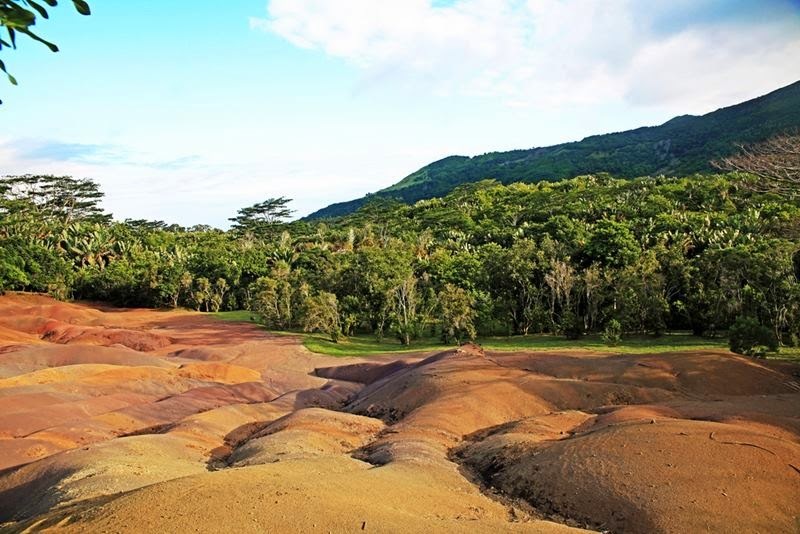 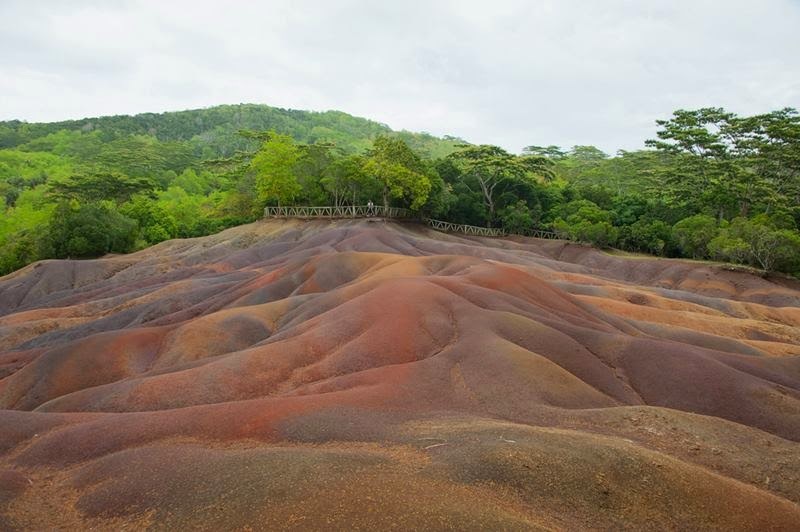 The Seven Coloured Earths, a geological formation and a major tourist attraction found in the Chamarel plain of the Rivière Noire District in south-western Mauritius. 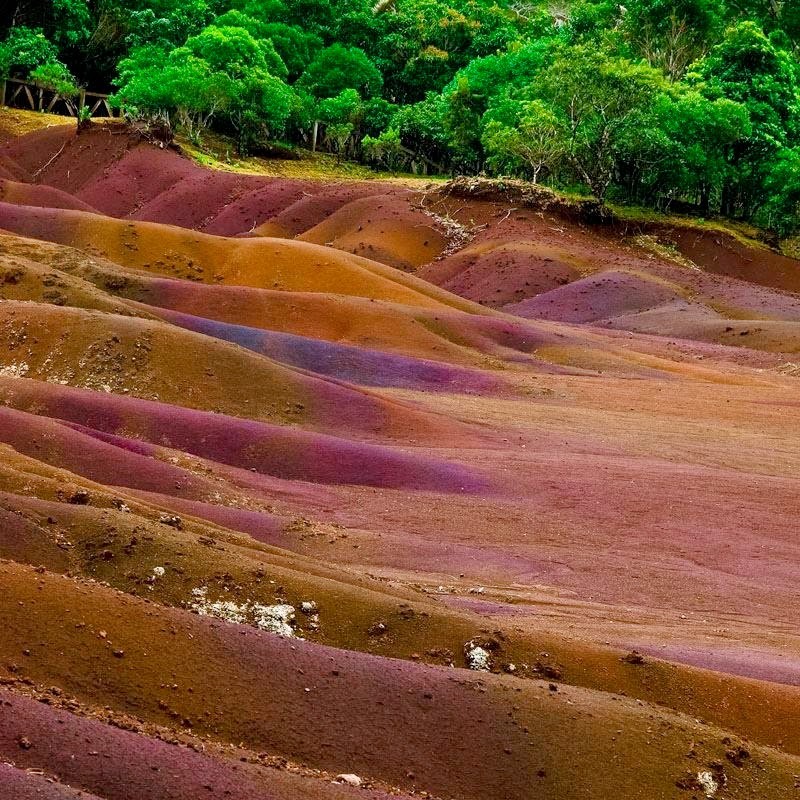 It is a relatively small area of sand dunes is covered in surreal stripes of blue, yellow, purple, red, brown, green and violet. 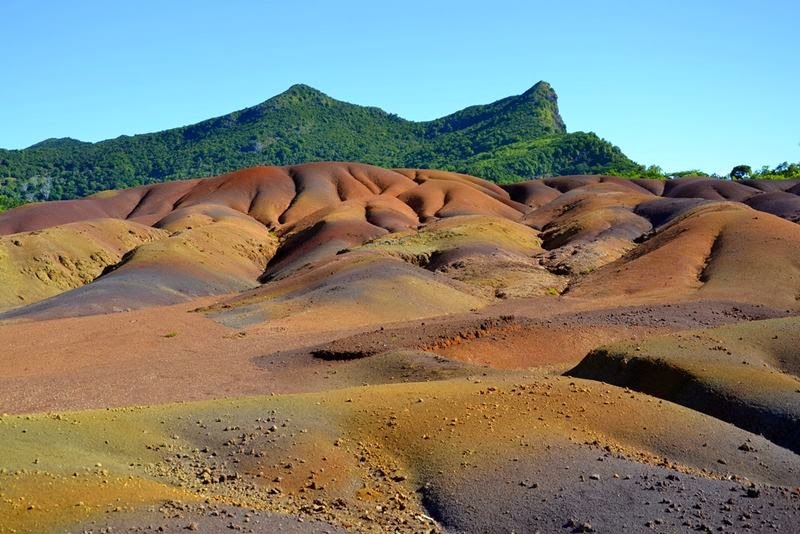 The main feature of the place is that since these differently coloured sands spontaneously settle in different layers, dunes acquire a surrealistic, striped colouring. 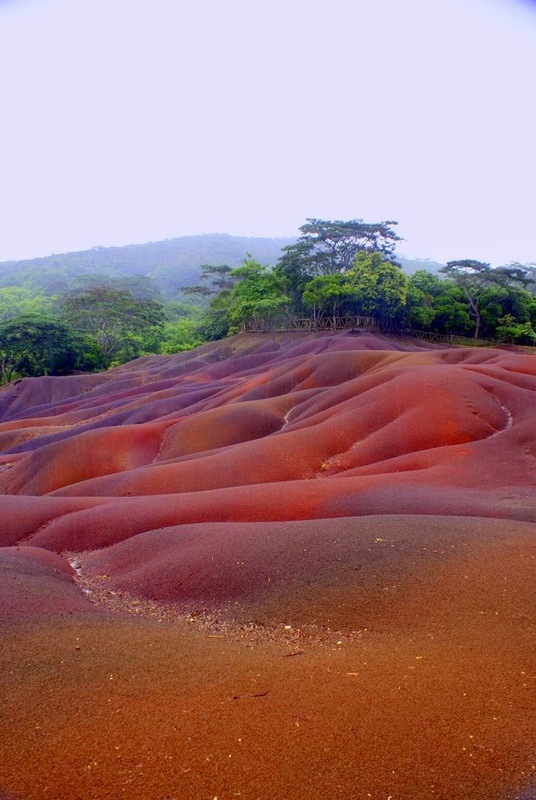 This phenomenon can also be observed, on a smaller scale, if one takes a handful of sands of different colours and mixes them together, as they'll eventually separate into a layered spectrum. 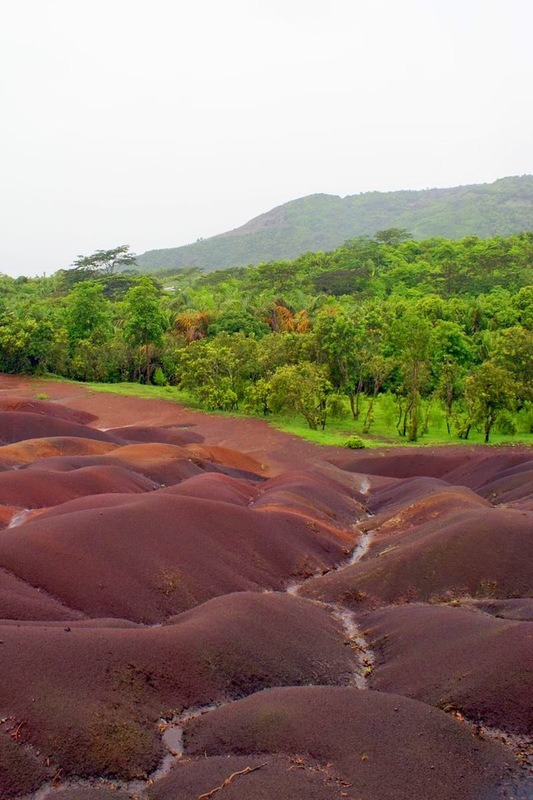 Another interesting feature of Chamarel's Coloured Earths is that the dunes seemingly never erode, in spite of Mauritius' torrential, tropical rains.